I know giraffes are supposed to have stripes but how about one with spots for a change? Our gorgeous, orange crochet giraffe is cuddly and smiley, making him a perfect companion for your child. 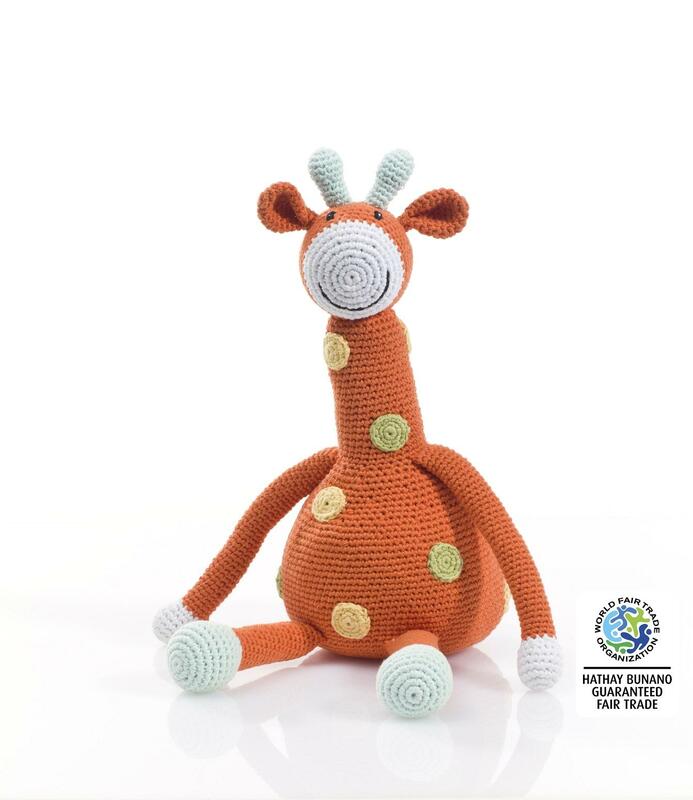 Handmade and fair trade, this bright giraffe is suitable from birth. Approximate size: height 32cm x width 25cm.